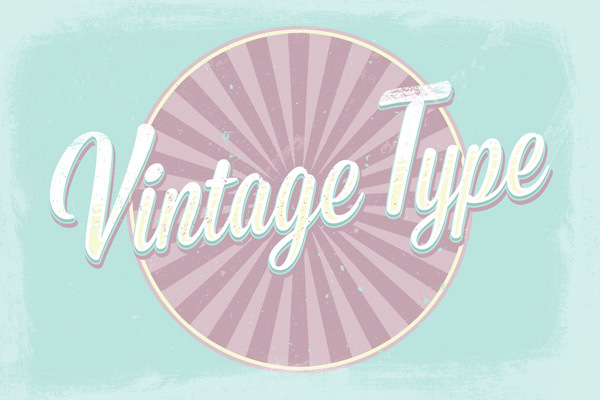 Learn how to create a vintage type effect using Chris’s tips! Before you start this expert design training you should watch the video above. 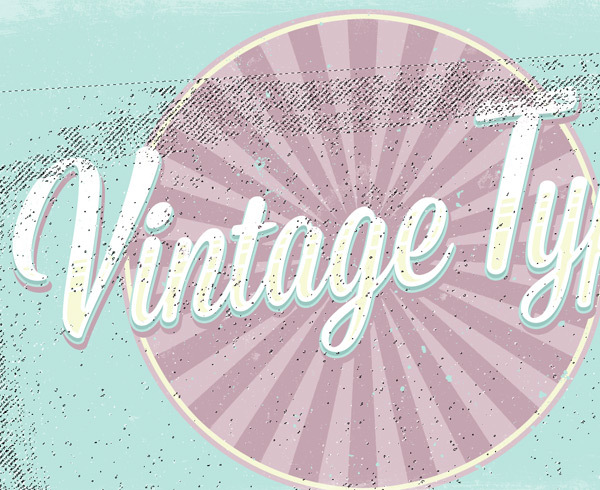 In this Adobe Photoshop tutorial I’m going to show you how to put the exclusive textures pack to use and create a cool vintage type effect with aged distressed textures. We’ll create a cool type layout with 1950s inspiration then use the texture pack to erode the design and give it an aged weathered appearance. 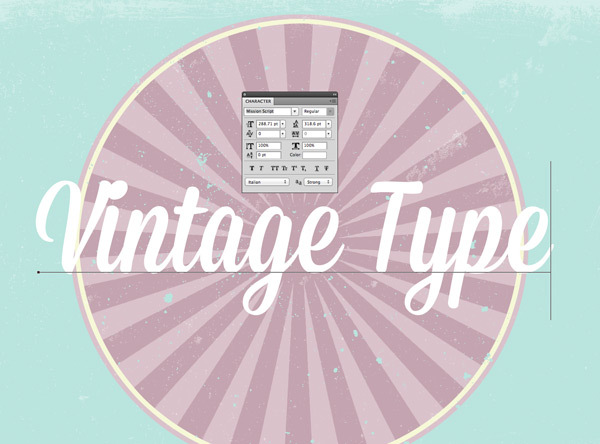 Start by downloading the aged photo textures that I’ve provided for this tutorial, using the form above. This will also give you access to the Photoshop source file for this tutorial, so you can follow along with every step in detail. 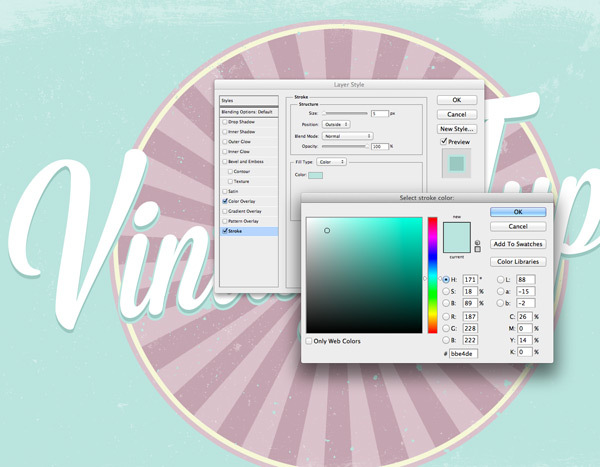 Create a new document in Photoshop and fill the background with a solid pastel green such as #bbe4de. 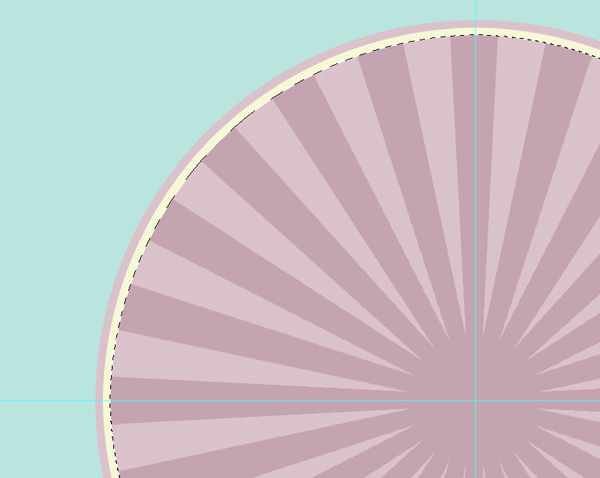 Use the Elliptical Marquee tool to draw a circular selection in the centre of the canvas then fill this area with #d9c2cb. 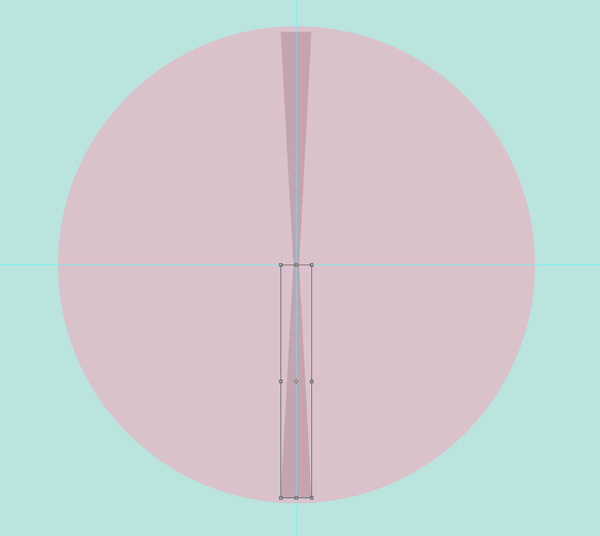 Draw a long thin rectangular selection from the centre of the circle extending close to the edge. Right click and select Transform Selection, right choose the Perspective option. Drag one of the lowermost corner handles inwards to narrow the bottom edge. Hit Enter then fill this new selection with #c3a4b0. Press CMD+J to duplicate the layer, press CMD+T to transform the object then right click and select Flip Vertically. 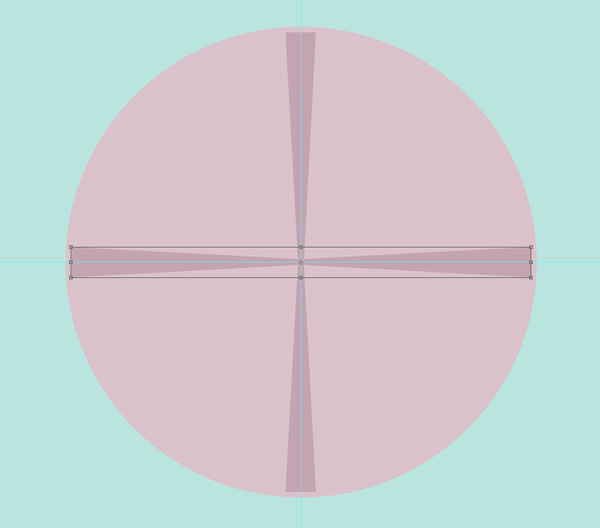 Position this flipped copy on the opposite side of the circle then merge the two layers together. Use the shortcut CMD+J again to duplicate the layer, then transform and rotate the objects perpendicular to the originals. 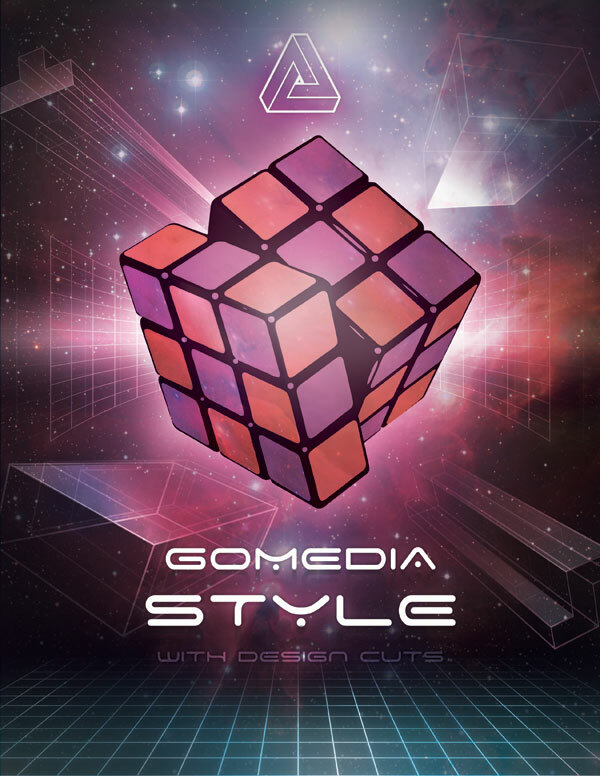 Hold the Shift key while rotating to constrain the angle. Repeat the process of duplicating and rotating copies of the lines to form a radial flare. Merge all the layers together into one. 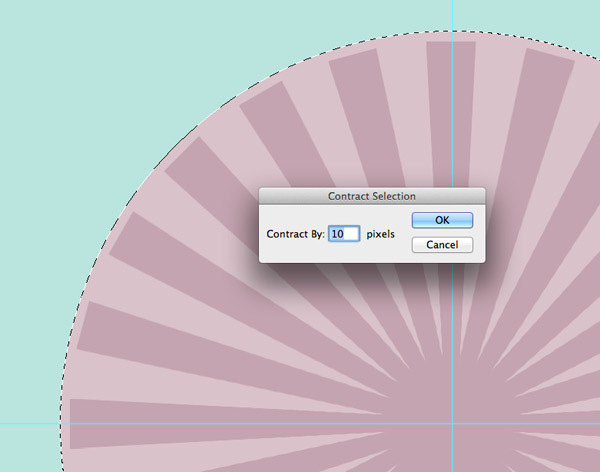 CMD+Click the layer thumbnail of the circle layer to load its selection, then go to Select > Modify > Contract. Enter 10 pixels in the options and hit OK. 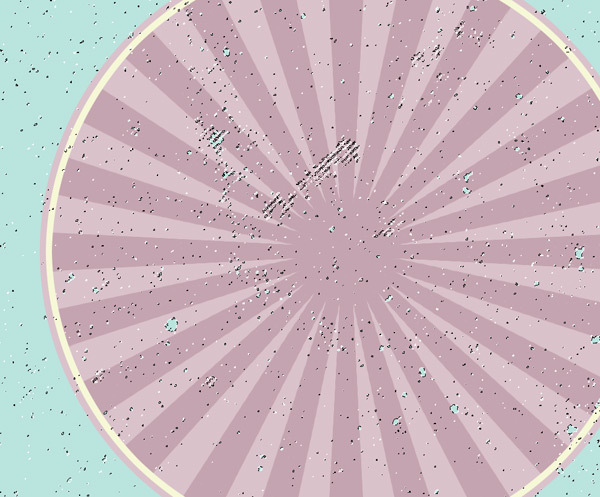 Fill this new circular selection with a pale yellow (#f6f7db) on a new layer. Head back to Select > Modify > Contract and scale the selection down by another 10 pixels. Hit the delete key to remove this inner portion, leaving a thin yellow ring. We can now use the texture pack to begin eroding and distressing the design. Copy one of the textures into the document and scale it to size. Load the selection of the texture file by clicking the layer thumbnail while holding the CMD key. 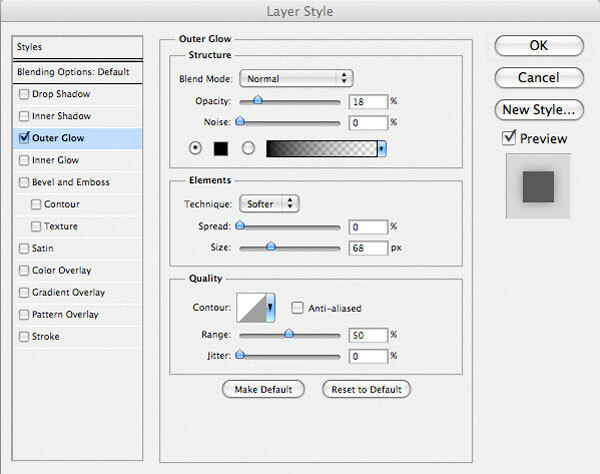 Erase this selection from each of the layers by adding a Layer Mask. Repeat the process with a couple of different texture selections. Add different textures to each layer to allow different underlying colours to show through. Paste in a full texture and scale it to fit the canvas. Invert the colour to white then lower the opacity to around 40% to add a touch of detail to the background. 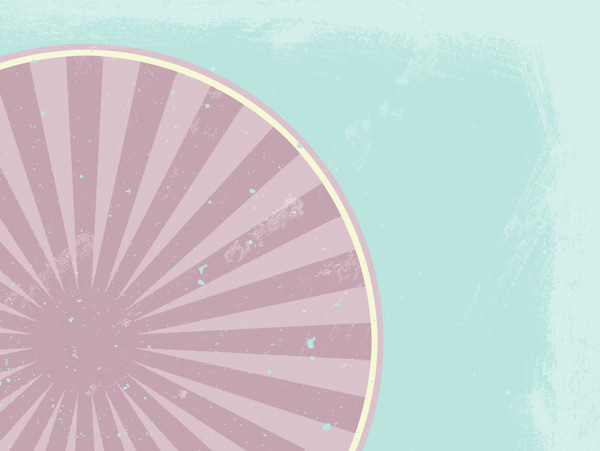 Use the Type tool to create a title across the circular background. Here I’ve chosen the awesome Mission Script font. 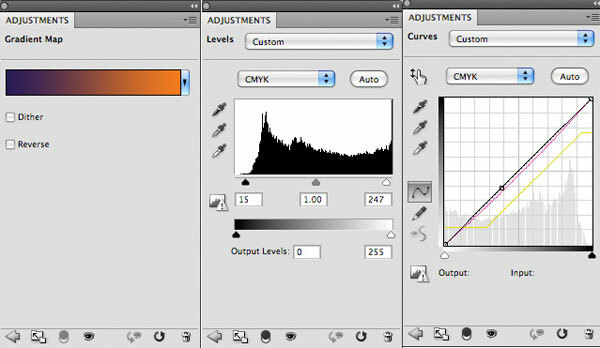 Transform the text and select the Skew adjustment. Move the right handle upwards to shear the text so it flows upwards at an angle. 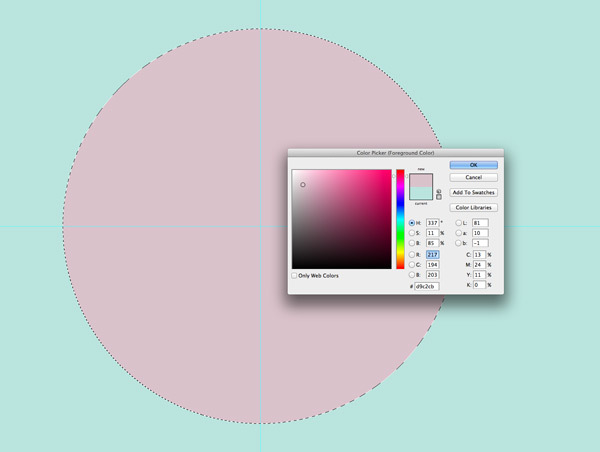 Scale the text to break out of the circle but position it centrally. Select just the first letters of each word and increase the text size considerably. This not only fixes the interference between the letters, it also relates well to typographic techniques originally used on old 50s signs and logos. Duplicate the text layer and position it underneath the original in the layer stack. Move the duplicate downwards a few nudges and give it a darker green fill (#9bc8c1). Double click this new text layer to open the Layer Style properties. Add a Stroke effect with 5px #bbe4de to create an alternating colour outline effect. 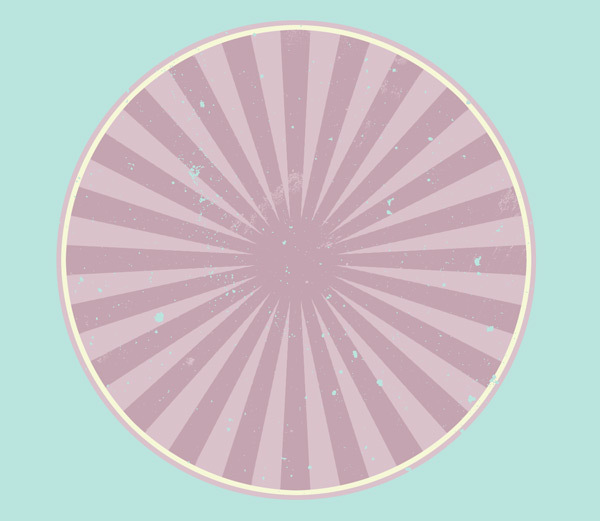 Create another duplicate, this time with the same fill colour as the radial background flare. 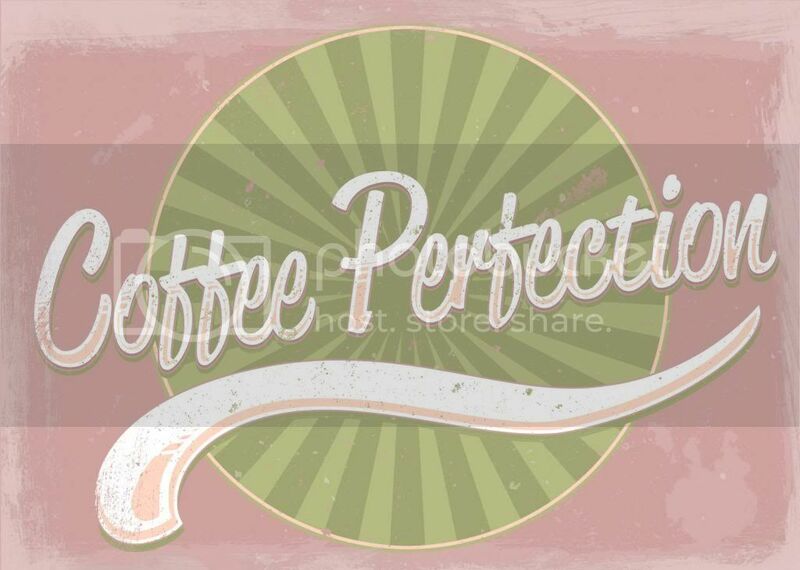 Add a 7px stroke of the same colour to fatten this text and create a larger offset outline. CMD+Click the original text layer to load its selection. Go to Select > Modify > Contract and reduce it by 10px in size. Give this new selection the same yellow fill as the ring on its own layer. 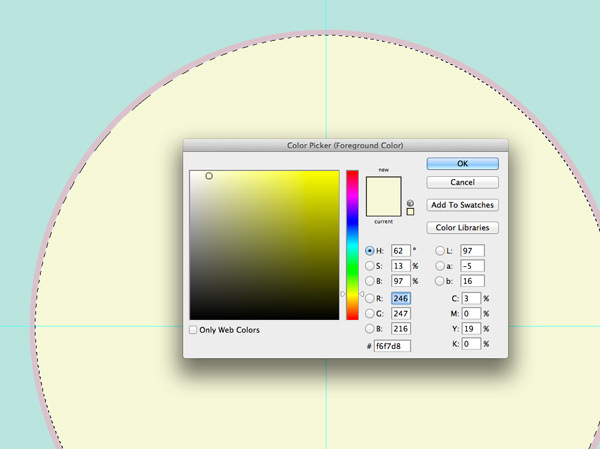 Align an angled selection with the Polygonal Lasso tool to select and erase the upper half of the yellow inset layer. 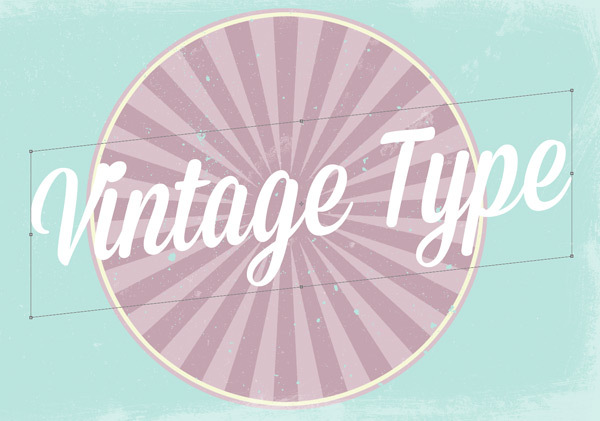 Draw a much thinner selection strip and use this to erase alternating stripes into the text to recreate a popular vintage shading technique. Group all the elements that make up the main text graphic then add a Layer Mask. 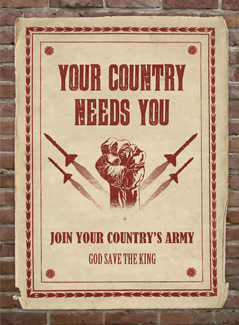 Use various textures to distress the text in the same fashion as the background to create an old aged appearance. 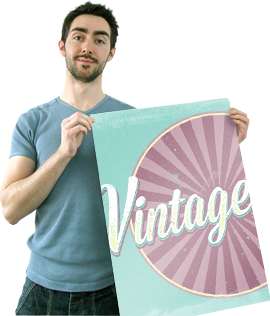 The texturing of the design really helps capture the vintage theme by giving it the appearance of an authentic logo, sign or product label that has corroded and peeled as it has survived the years. 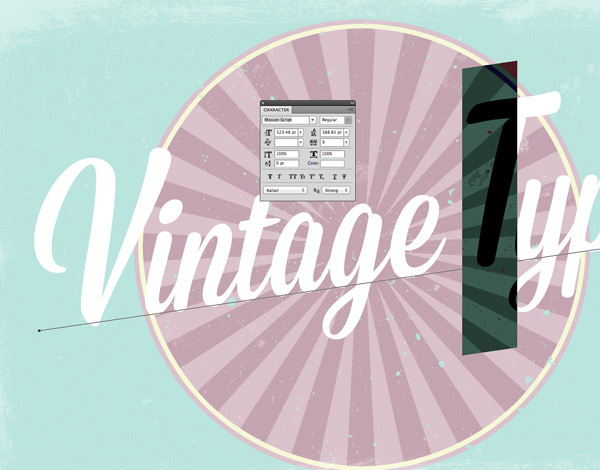 Today’s tutorial uses Chris’s Aged Photo Textures freebies pack, exclusively available to Design Cuts subscribers. 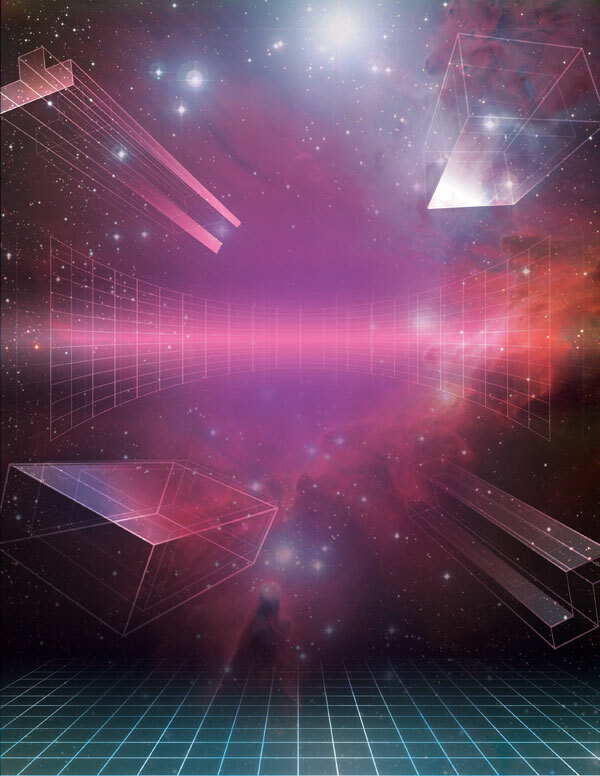 Download this awesome freebie and the source file for this tutorial using the form below. Entering your email will allow notify you of our big launch. Create a cool retro poster using GoMedia’s best resources. 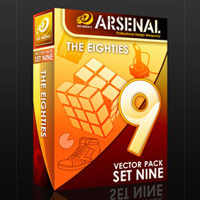 Today we’re going to use the 80s pack from the GoMedia Arsenal to create a retro style poster design. We’ll be using a number of vectors from the pack to create a richly detailed design with plenty of awesome lighting effects and texture application. 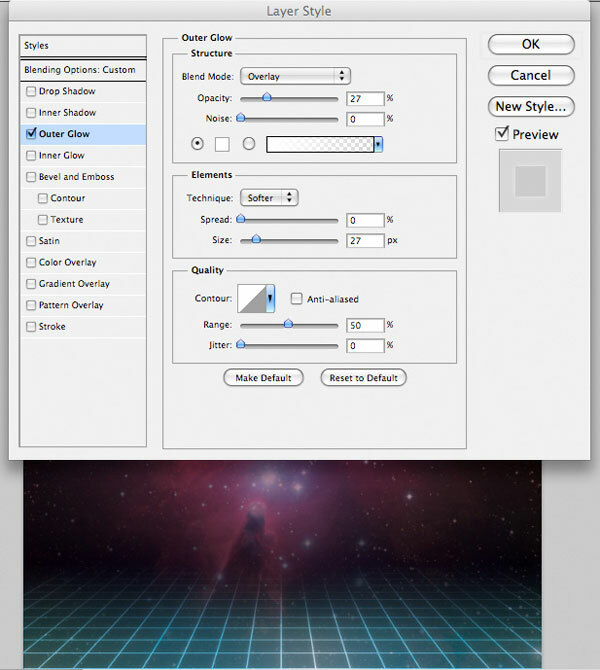 Create a new document in Photoshop (21.59cm X 27.94cm), 300 DPI resolution. Fill your canvas with a dark, deep purple color (#0b0513). 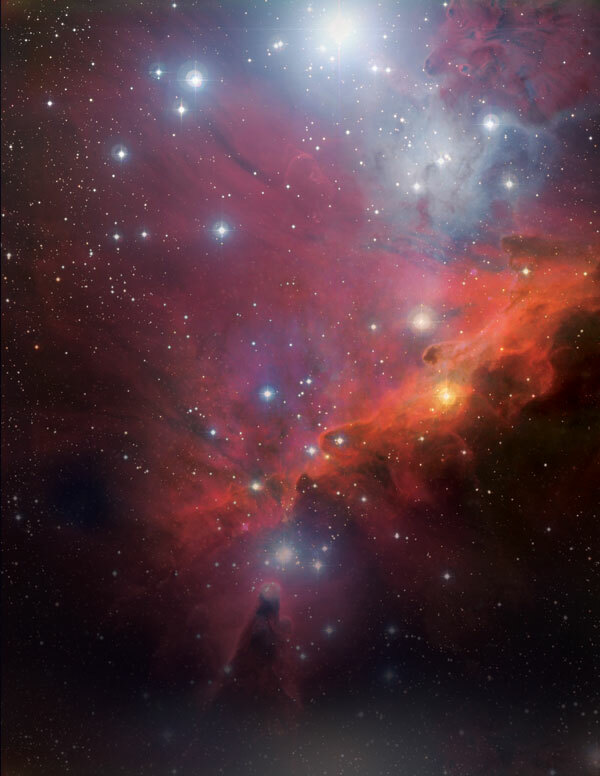 Download the ‘Base Nebula Image’ from the resources section for this tutorial. Lay it over your main background color, masking off the bottom of the nebula, to let the purple background show through. Then overlay the image ‘Nebula Fog’ from the resources section for this tutorial. Reduce it’s opacity to 20% and set the layer blend mode to ‘Multiply’. Download the ‘Messy Nebula’ image from the resources section for this tutorial. Place it over the center of your canvas, and change it’s blend mode to ‘overlay’. Time to start adding some more color! Drag a linear gradient, ranging from 6bb9bf to transparent, up from the bottom of your canvas. 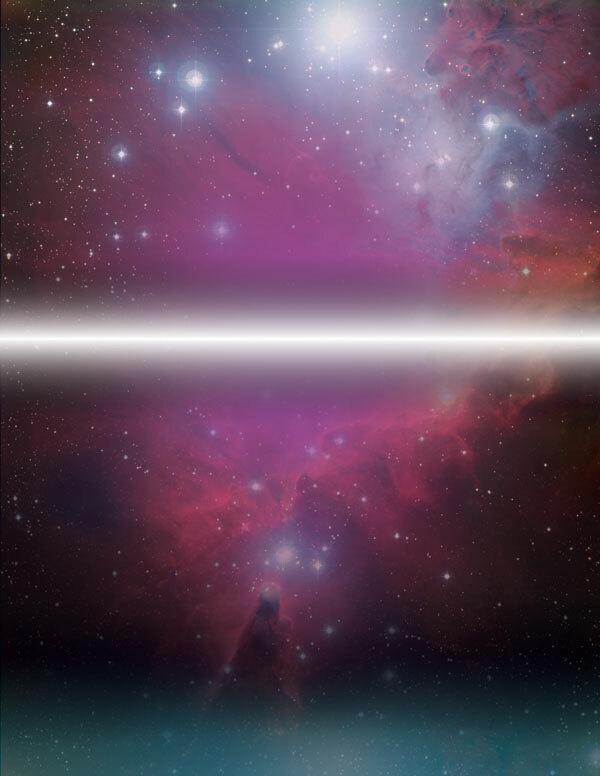 Then change this layer’s blend mode to ‘linear light’ and reduce it’s opacity to 45%. This should give a subtle lighting effect at the bottom of your composition. Grab the gradient tool, and set it to ‘reflected gradient’. Ensure that your gradient flows from transparent to white, to transparent (in the gradient settings this means just specifying white to transparent). Now download the freebies for this tutorial using the form above. This includes an awesome pack of 80s style vectors that you’ll need to complete today’s training, as well as the tutorial source file so you can follow along in detail. 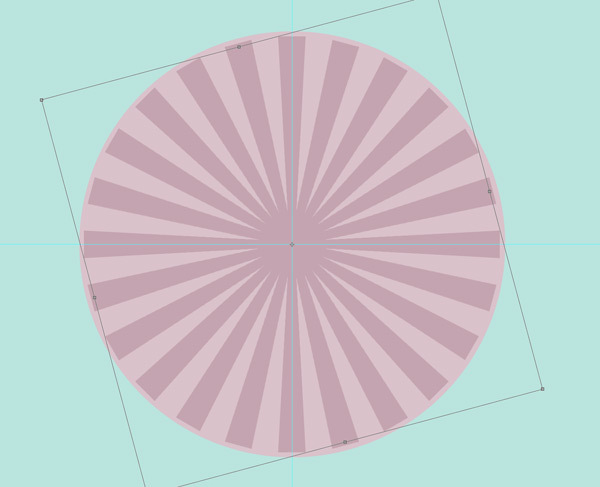 Start by importing the ground grid vector back into your main canvas. 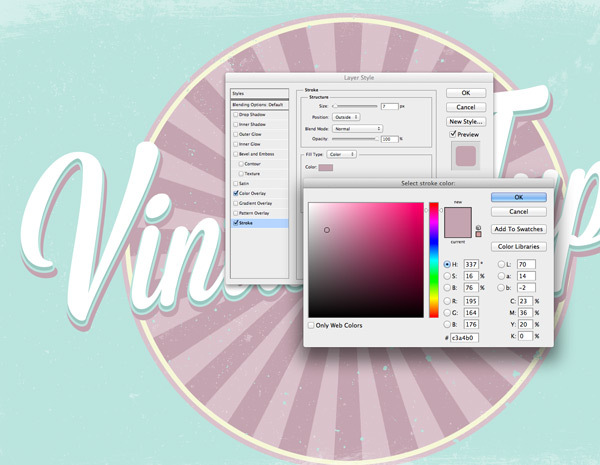 Apply a white color overlay blending option to it. Then save it as a smart object (this is important for a non-destructive workflow, and you’ll be required to save all vectors throughout this lesson as smart objects to preserve their quality). Now change this grid layer’s blend mode to ‘overlay’ and mask off the top of the grid, so that it appears to disappear into the background. 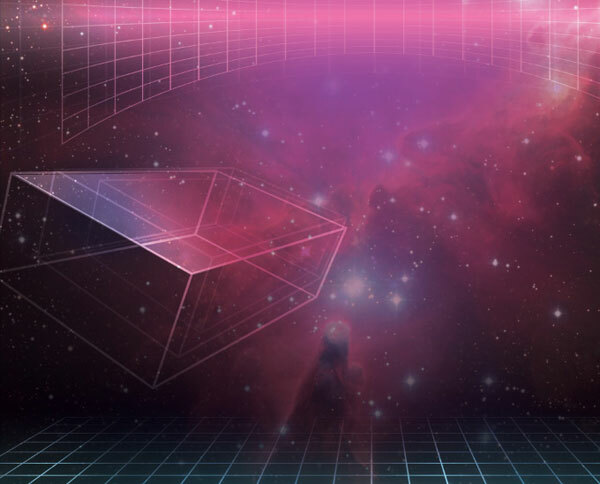 Now option+click on your grid layer. 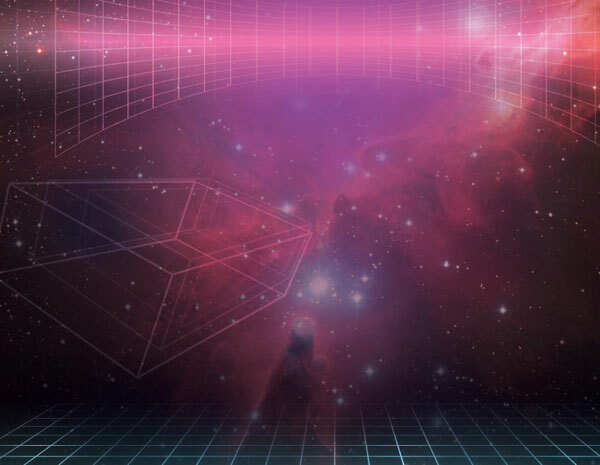 This will select your grid. With this selection active, create a new layer called ‘highlight grid’. Use a soft white paintbrush to paint over areas of your grid where you want to give a highlight effect. Change this highlight layer’s blend mode to ‘overlay’. 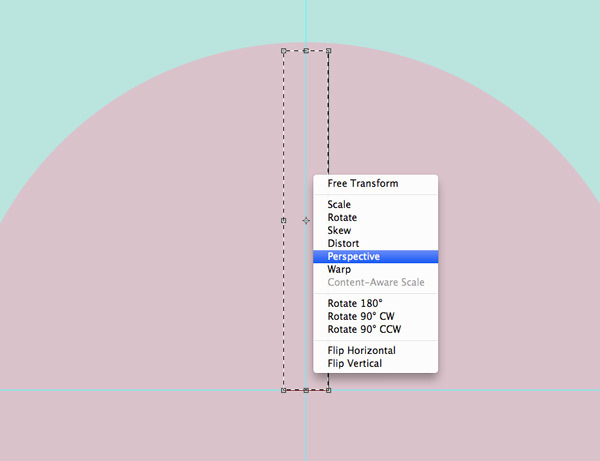 This should add some variance to to your grid’s lighting. Use similar techniques to Step 3 to import the curved grid from your freebies pack into your canvas. I used layer blend mode ‘overlay’ and opacity of around 40%. Now duplicate this rectangle twice, moving each duplicate to the right of the original, and resizing it smaller and lowering the opacity. 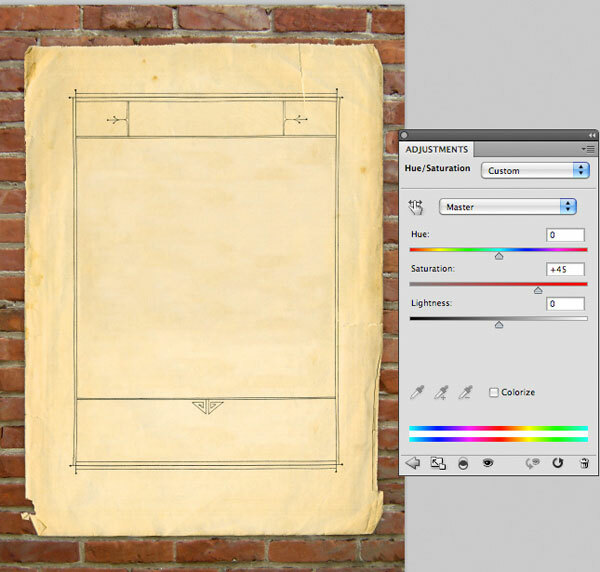 Now use your lasso selection tool to select the top panel of the largest rectangle. Create a new layer, and drag a white to transparent linear gradient down the length of the rectangle. 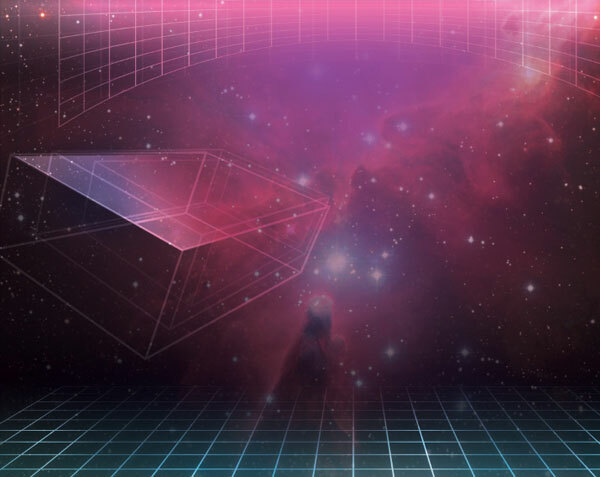 Return to the 80s freebies pack for this training, and download the cool triangle logo vector. Time to add some more space age lighting to the center area of our piece! Add a few soft, white paintbrush marks around the center of your canvas. Now paint a central white line across the canvas, using a large, soft white paintbrush. 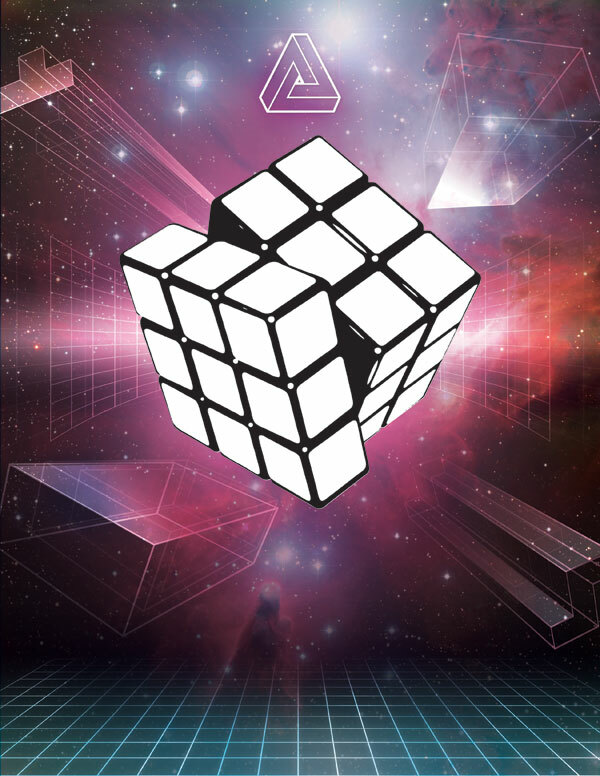 Jump back to your freebies pack and find the awesome Rubicks cube design there. 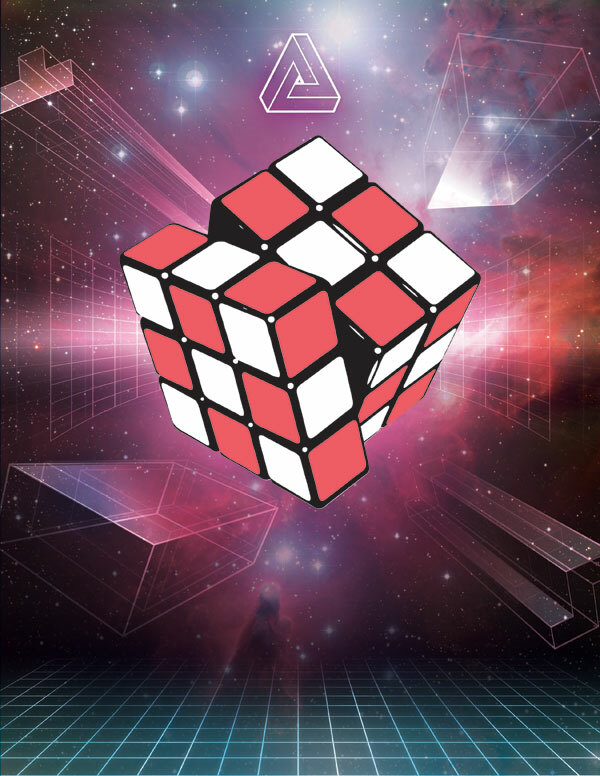 Create a new layer called ‘squares’ and use your magic wand tool to select various squares of your Rubick’s cube. Fill these selected squares with a deep red color (#f15d66). 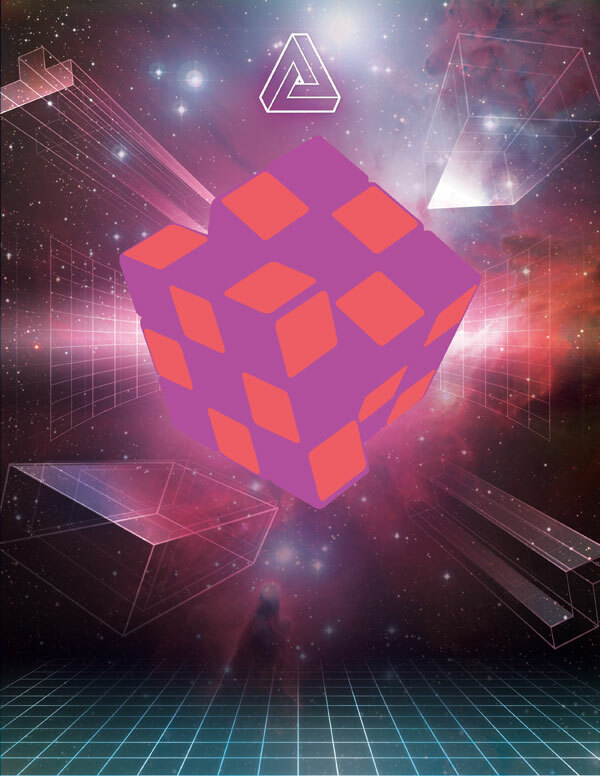 Now apply a color overlay blending option to the original Rubick’s cube layer (color: #b3509e). Now copy the original Rubick’s cube over these two layers, and set it to ‘Multiply’ blend mode. This means that the black outlines will be visible, but the white fill will become invisible, showing the colored squares beneath it. Paste one of the nebula images over your Rubick’s cube layer, and apply a clipping mask, so that it is clipped to the shape of the cube. Change this layer’s blend mode to ‘multiply’ and reduce it’s opacity to 40%. 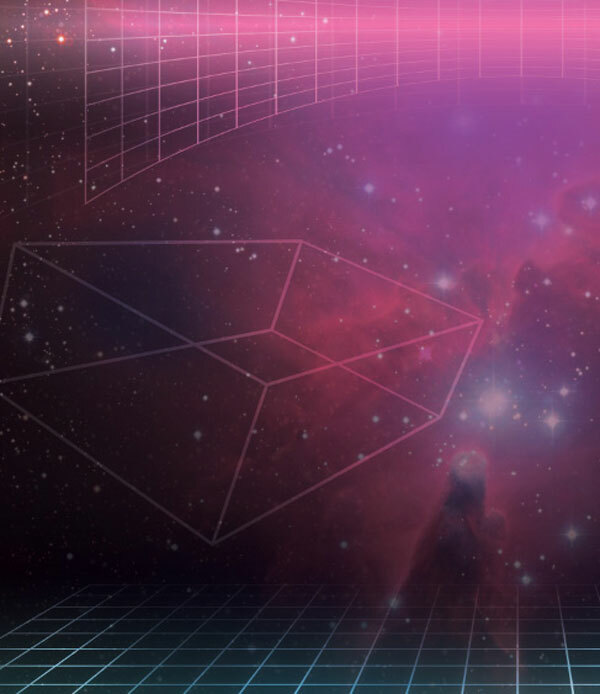 To complete the cube, apply further nebula textures to specific surfaces over the cube. Then use subsequent layers to apply white lighting spots over the cube (using a mixture of ‘normal’ and ‘overlay’ for the light layers). To help bring the focus into the center of the canvas, we need to add a basic vignette effect. Use a soft black paintbrush to paint around the corners/edges of your piece. Time to add some cool retro text! 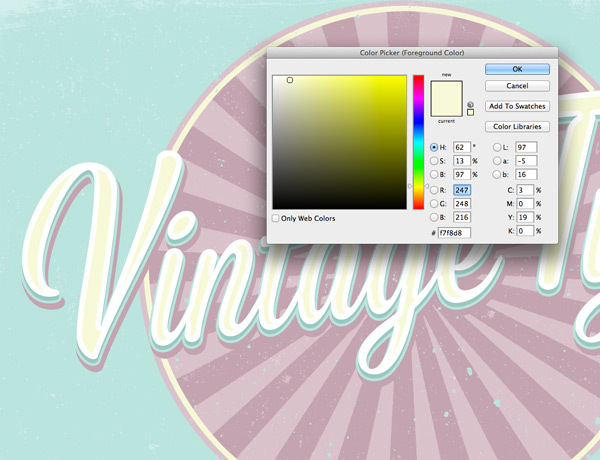 Our poster design is almost there, but let’s bring all the elements together, and create a some retro overlays! Paste the floral paper texture from the resources section for this tutorial, and position it so that it covers your entire canvas. 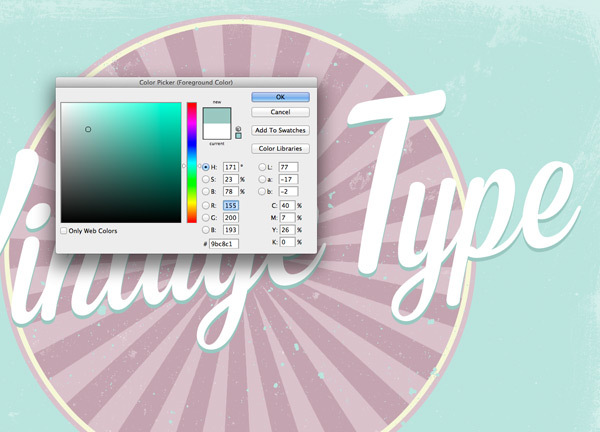 Change this layer’s blend mode to ‘multiply’ and reduce it’s opacity to ‘50%’. Finally, download the cardboard texture from the resources section for this tutorial and paste it so that it covers your entire canvas. Then change this layer’s blend mode to ‘overlay’ and reduce it’s opacity to 40%. Here’s the final outcome you’ve created. Be sure to show it off to friends and family to get valuable feedback. You can also show off your work in the GoMedia Flickr Pool. Today’s tutorial uses GoMedia’s 80s vector designs, exclusively available to Design Cuts subscribers. 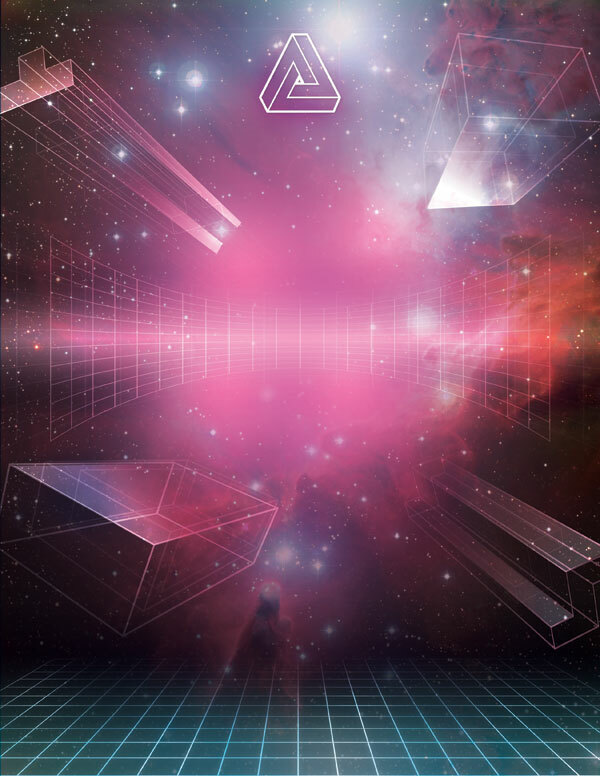 Download this awesome freebie and the source file for this tutorial using the form below. Entering your email will allow notify you of our big launch. Fire in the hole! A lesson in wartime graphics with Wings Art. 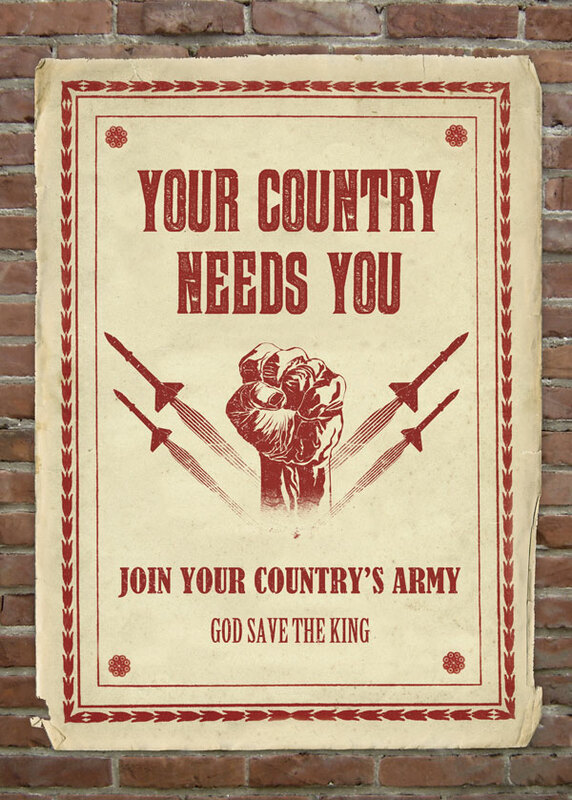 Today you’ll learn how to create an authentic wartime poster design, using some awesome high-res paper textures from Wings Art Studio. You’ll learn how to layer up multiple textures, and use them to apply realistic surface impact. Open up Photoshop and create a new document 29.45cm X 41.2cm, at 300 DPI resolution. 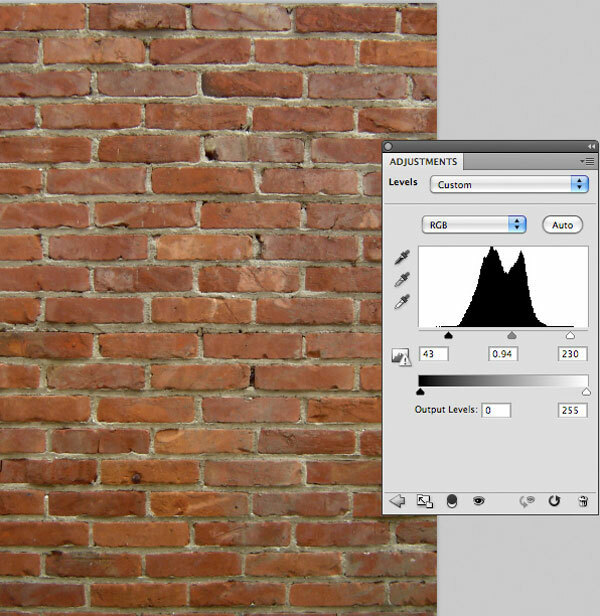 Download the brick wall texture from the resources section for this tutorial, and paste it into your canvas. Enlarge as necessary. 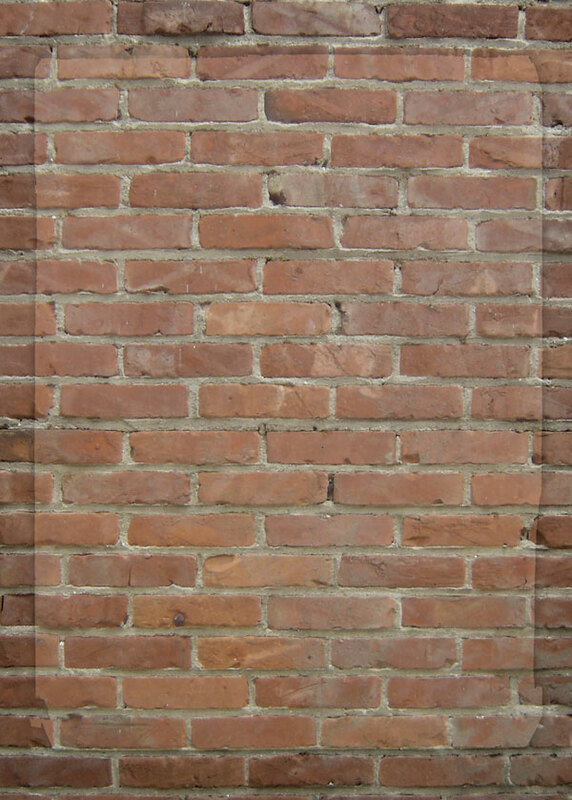 To make the brick surface a little darker, apply a levels adjustment layer. Download the freebies pack for this tutorial above. 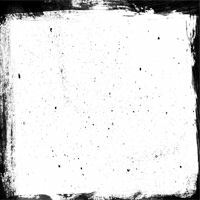 Grab the ‘sections.jpg’ texture from the pack, and import it into your canvas. 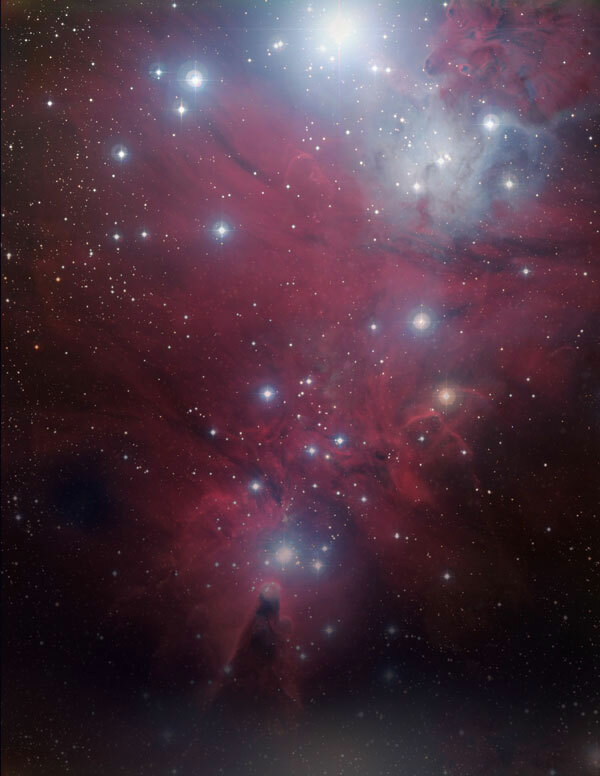 Extract it from it’s background, and then apply a hue/saturation adjustment layer. Ensure this adjustment layer has a clipping mask, so that it only affects the underlying paper texture layer, not your entire composition. Download the redflowers.jpg paper texture from your freebies pack. 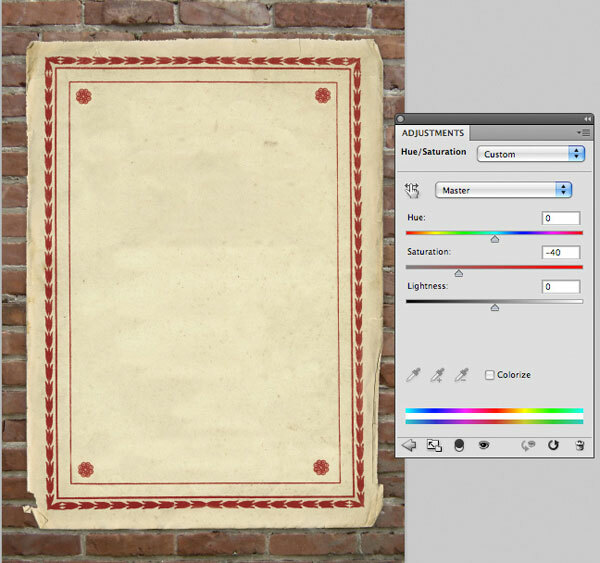 Paste it over the original paper texture in your canvas, resizing it to fit perfectly over it. Apply a layer mask and mask the edges of this new paper texture, exposing the edges of the underlying paper texture, which are a better fit for this composition. 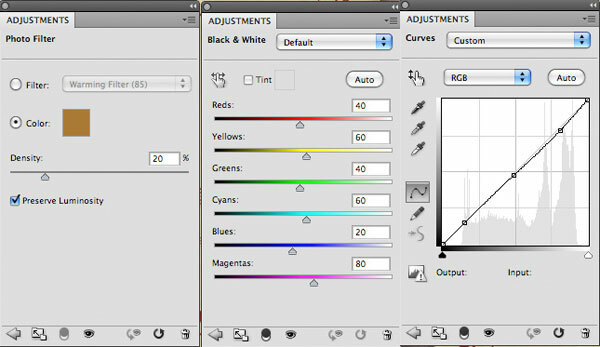 Now apply a hue/saturation adjustment layer, but this time DO NOT apply a clipping mask, as we want these adjustments to effect the entire canvas. 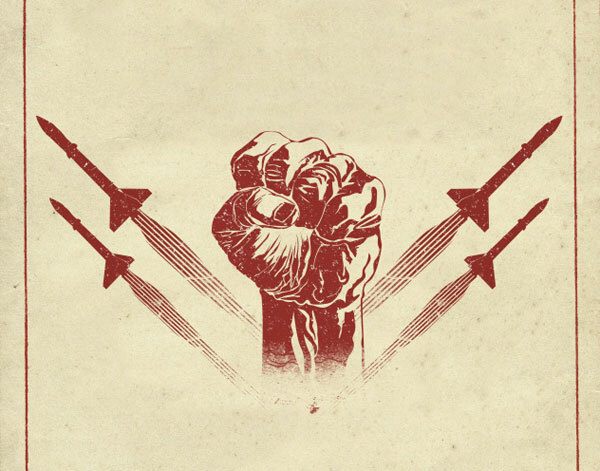 Download a wartime vector design of your choice. I chose a vector from the awesome GoMedia wartime vector pack, which luckily for you guys will be available as one of our first deals, once Design Cuts launches. Apply a layer mask to your vector, and use a rough, black paintbrush to mask off the bottom of the vector. 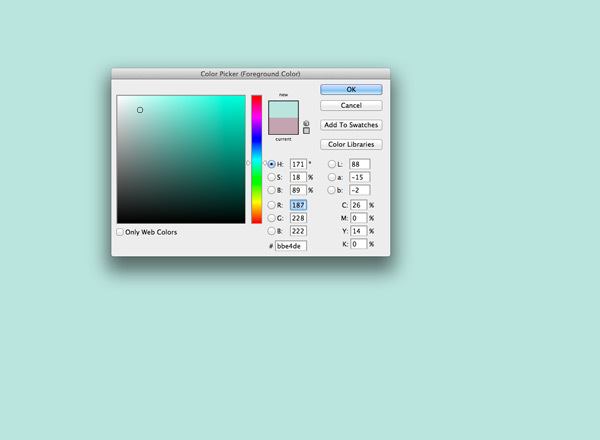 Also, apply a color overlay blending option (color: 912f2a). Download the noise textures from LostandTaken (see resources section for this tutorial). 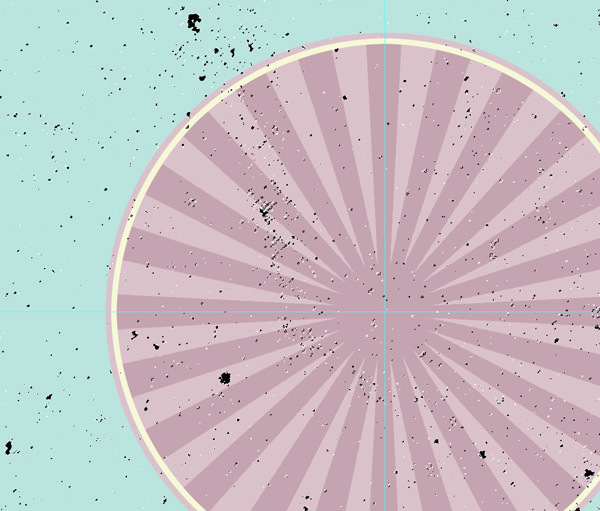 Grab one of the textures and paste it into your main canvas, directly above your central vector design. Now change this layer’s blend mode to ‘screen’. Because it has a black background this will hide everything in this layer apart from the lighter noise. 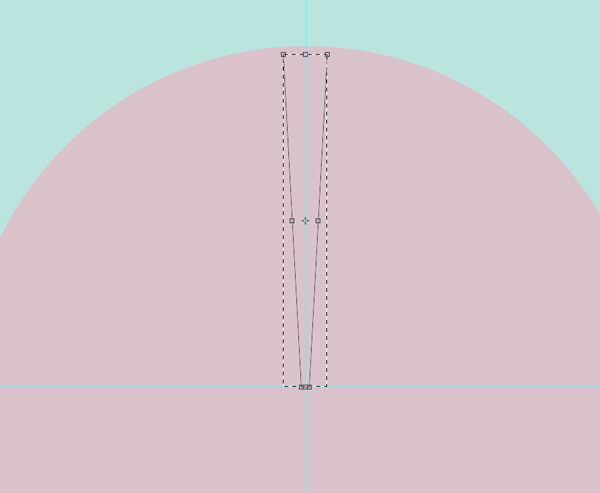 Apply a clipping mask so that the remaining noise is clipped to your central vector design. And voila! 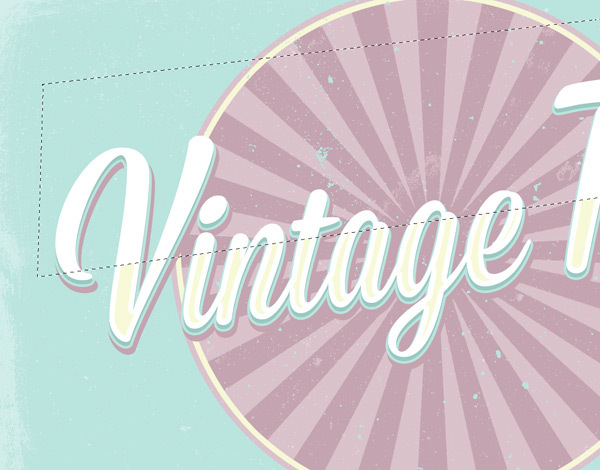 You have given your vector an old time, distressed look to match the rest of your poster. Now you know how to apply distressed noise effects to your work, you can use the same techniques to create some cool distressed text for your poster. It’s always good to think about texture and lighting and strive to make your outcome as realistic as possible. 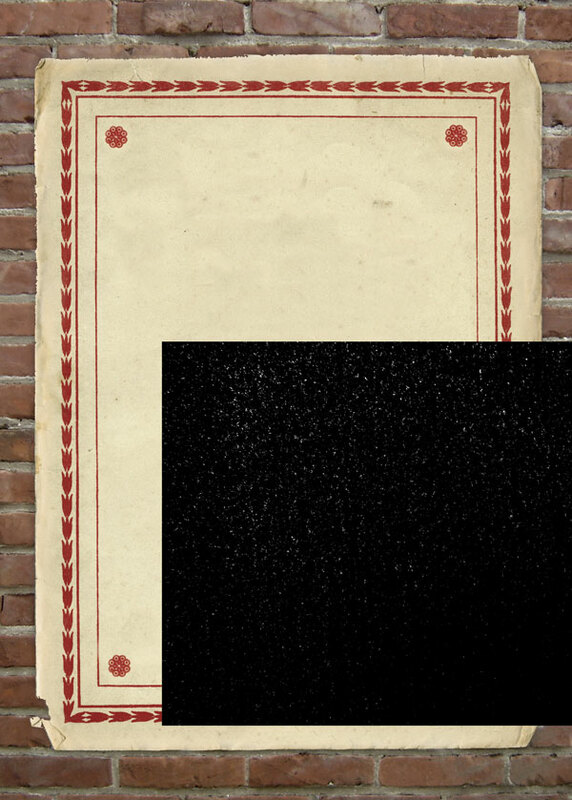 If a poster was positioned on a brick wall, it wouldn’t appear perfectly flat. It’s likely that some of the shadow/texture from the wall would show through the paper, and make it’s surface appear less perfect. 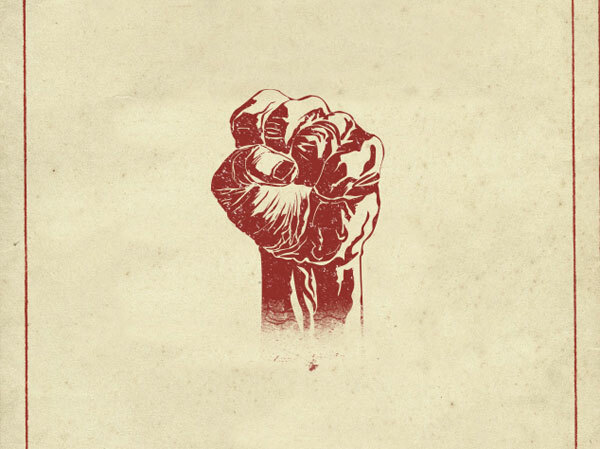 To achieve this subtle touch, duplicate your original brick background layer and position it above all other layers. Then use a layer mask to clip it to the shape of your poster. To finish things up, we need to add a few adjustment layers. And here’s the final outcome you’ve created! Here’s the final outcome you’ve created. Be sure to show it off to friends and family to get valuable feedback. 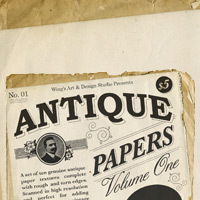 Today’s tutorial uses Wings Art Studio’s Antique Paper Textures, exclusively available to Design Cuts subscribers. Download this awesome freebie and the source file for this tutorial using the form below. Entering your email will allow notify you of our big launch. Confusing tutorial but nice end result. Oh no we’re really sorry if you found this tutorial confusing Fred. If there are any particular steps that you are stuck with, please let us know and we can definitely help to get you moving again :). I can’t download the freebies to follow this tutorial below by entering my email. Thanks so much for leaving a comment with regards to this! i want to see this video tutorial…. As this is one of the first ever tutorials that we launched, we don’t have a video format of this I am afraid. This tutorial is very amazing and i learned so much. Do you need photoshop to do this? Thanks for your comment, we would recommend using Photoshop for this tutorial as there are some techniques that Chris has used that are specific to this software. The tutorials are awesome (and the freebies too)! May I use the 80s style design (with some alterations) as a poster for my faculty’s upcoming scientific conference? Yeah I’m sure that’s ok, especially if you make some changes to it. Thanks guys . Awesome tuts. It helps me a lot. Love u! Thanks Quentin! Please be sure to post your version if you recreate the tutorial. We’d love to check it out. Wow. That blew the cap off! Thanks you guys. I am learning such a lot, in both Photoshop and Illustrator. 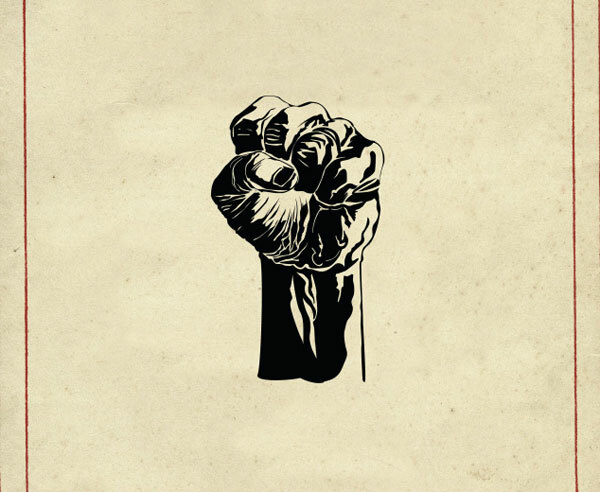 This fist I found is the letter S in American Sign Language. S is for seeds and sunflowers and sustainability and….ok you get the point. As you may know, bee colony collapse is a dire situation and it’s happening. NOW. (because of humans poisoning every dang thing). If all the bees were to die, we’d stand a pretty solid future without food. No pollination = no crops (wild or cultivated, yo). Learning lots about Photoshop and Illustrator these days! Thanks guys! Wow, really awesome result Victoria! I love the subtle graphical touches like the graffiti. I’m so glad you’re improving at a rapid rate. We’re glad to be helping :). Hi Victoria. I don’t know you (or if you even will see this ever) but I like you a lot already. Yay for sustainability. The bees are coming back here in Canada. It is lovely to see so many front and backyards and fields full of dandelions (which I love, by the way and don’t consider weeds). Bee food FTW! For fun, my realization “the French” and thank you for sharing everything! Amazing work as always Mireille! I love how you put a French spin on the design :). One piece of advice; I would ensure that you rough up the bottom of the wrist, instead of fading it so smoothly. The smooth fade looks too unrealistic, and a more grungy edge would fit better with the design. I agree, I was not very happy either with the result! No it’s a great design, I just wanted to help you improve it even more. It’s awesome to see so many people enjoying this tutorial. Enjoy the textures folks, this one’s on me! It’s so great to have you as part of this Chris! These textures have fast become some of my favorites, we appreciate you sharing them :). The super subtle brick overlay idea is really smart. I wouldn’t have thought to do that, but it ads a lot of dimension to the final look. Thanks Ben! It’s the little touches like that which make a successful design. I’m really glad you’re enjoying this new training. Let us know if you manage to create your own version, I’d love to take a look. You’re welcome Arbi, I’m so glad you’re enjoying the training series. Great tutorial and second very rewarding training. Fantastic realization Mireille! I love your work as always. I really like how well you captured the retro, worn feel of this poster using the texture overlays. Beautiful work :). This was a super fun tutorial. I learned SO much. You guys are great. Thanks for sharing the source files too. And for pointing us towards the GoMedia flickr group! Wow, given what a complex tutorial this is you NAILED the outcome Victoria! Really awesome work, I’m very impressed. The cartoon creatures made me smile too haha :). Thanks for the cool tutorial. Being a newbie to the world of Photoshop/Illustrator this offered me an excellent opportunity to learn new techniques while at the same time creating something fun. Looking forward to future tutorials!! Thanks Chris! We try to make all our training (and generally how we do business) fun. Creativity isn’t about being boring. I’m so glad you picked up some new techniques here. 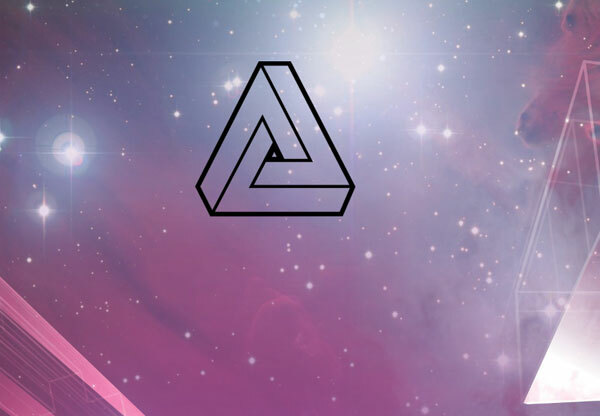 I would normally do something like this in illustrator. It was great to get out of my comfort zone and utilise photoshop a bit more. Really enjoyed the tutorial. Thanks Chris and Design Cuts Team. You’re welcome Jess. Great design is all about getting outside of your comfort zone. Your version is AMAZING! Seriously, nice variation no the tutorial. 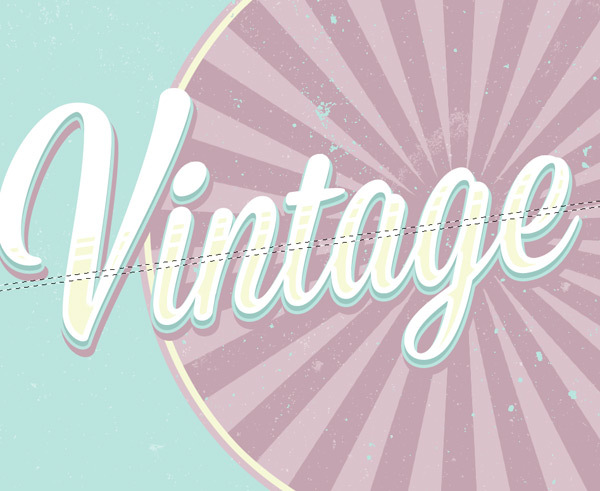 I love the underline, it really accentuates the retro feel of your piece. The colors are perfectly retro too. I’ve been using Photoshop since before it had layers, and this tutorial is proof you can always learn new things regardless of how much pixel pushing you’ve done. Thanks! Wow, that’s an ancient version! I was on Paint Shop Pro back in the day. Really glad you learnt some new techniques here Cosmo. Ton’s of depth to the poster, lot’s of cool techniques. Thanks Ben! 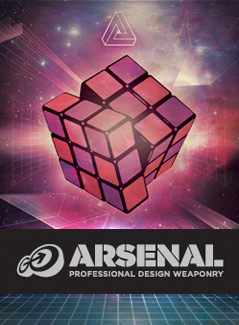 We have another great poster design tutorial lined up for you this week. Thanks for posting your work here Victoria. Again, we’re really impressed by your effort, and the illustration is wonderful. Enjoy the next training in the series :). 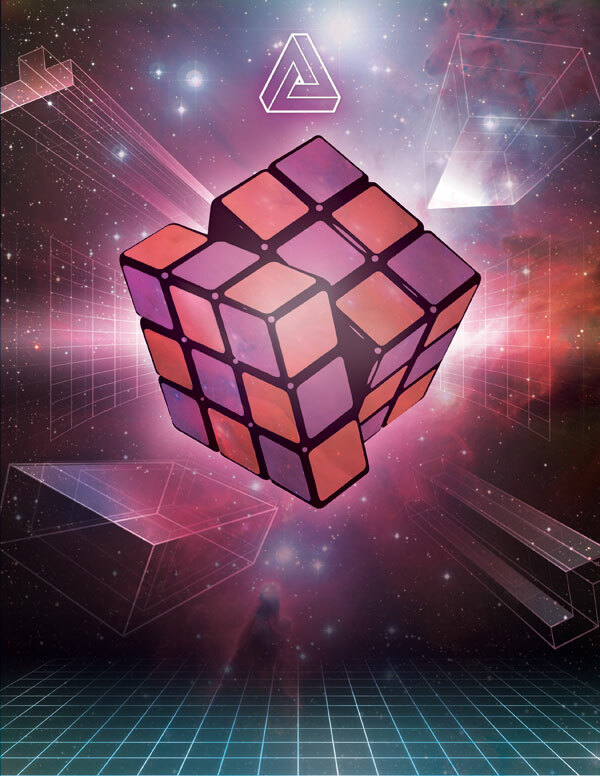 It is really nice i like read this and you have really polygon lasso tool to make an old school color gradient effect. Will be incorporating into my designs! Thanks Jhon, although I’ve taken out your link (we like to keep things non-spammy here). Thanks guys for such a nice design with clear explanation. I’m waiting for next series. Thanks Srinivas, the next series is coming on Monday. Chris did a great job with this tutorial though. I started for the first lesson. I just looked at steps 11 and 12. This is AWESOME Mireille! I love how you put your own style on it. I hope you’ll be able to replicate the other tutorials in this series. Nice work! Thank you Tom! I also hope to follow other tutorials of this series. The next tutorial + freebie pack is coming on Monday. I hope you enjoy it. Thanks for commenting Nirmal, we hope you enjoy the rest of the training series. Great look with simple steps, Thanks! Thanks! What’s your real name btw? We like to keep things personal at Design Cuts :). Nice tutorial loved your 1st one, looking for many more tuts.. All the best guys!! Thanks for taking the time to comment Praveen. We’ve got some great tutorials lined that we’re sure you’ll love too. Nice 1st tutorial. Really simple to understand which is great for me. Can’t wait to see behind the veil so to speak. Thanks Jason, that’s great to hear. You’ll be able to see the main site as soon as this series is concluded, but in the mean time we hope everyone has fun with it. This looks great. I always take something away after reading tutorials like these. Seems like there is a super cool team behind this. Aw, thanks Ben, that’s made our day :). The next bit of training in this series is coming soon, so we really hope you enjoy that too. Me encanto el tutorial, gracias por compartirlo!! Usted es bienvenido, disfrutar de la página web! You’re welcome Ann. Did you manage to download the texture pack yet? They’re really versatile. The next tutorial is coming your way next Monday, it’s a great one :). Really Impressed by the tutorial and used techniques thanks for sharing. Thanks Parvez. Stick around, we’ve got more great lessons and freebies coming your way throughout this series. 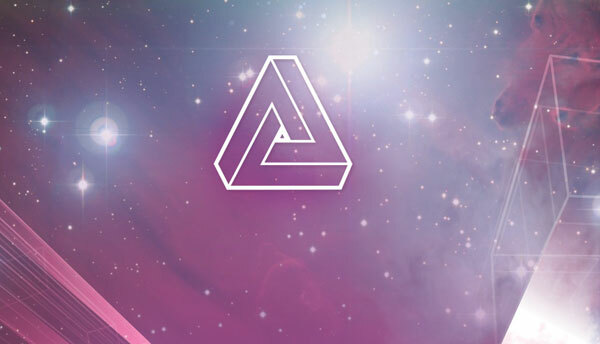 I like the use of the polygon lasso tool to make an old school color gradient effect. Will be incorporating into my designs! Thanks for commenting Doug! I really enjoyed that technique too, it’s something you start noticing in vintage designs all the time after you’ve tried it. I hope that you’re enjoying your training, and will look out for the next tutorial soon. Thank you to everyone! This is a cool concept! I am going to love this! Thanks Su, I’m so glad you’ve joined the early community! Your work has really progressed over the last year and I hope this training can help you improve even more. Born and raised in London, England.